Do you have certificates of completion? When you complete a course or path, we issue you a certificate. We grant you a certificate upon completion of every course and path. You can view a list of all of your certificates in your profile page. Clicking on each certificate will display it in your browser. When your certificate is issued, you'll immediately receive a notification in the header bar, letting you know you've just received a new certificate. We also send you the certificate via email. Do I need to subscribe to a paid plan in order to earn certificates? 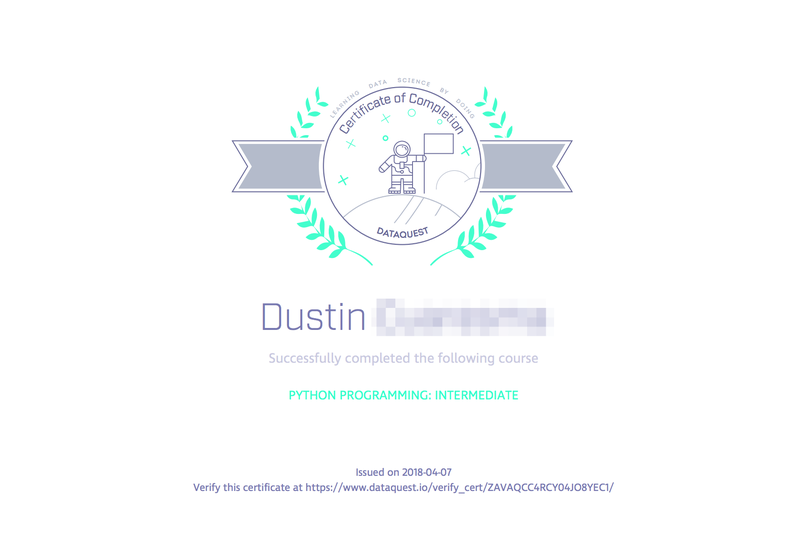 Technically, no — you receive certificates based on completion, so, as long as you can complete a course, you'll earn a certificate, regardless of whatever plan you're on. 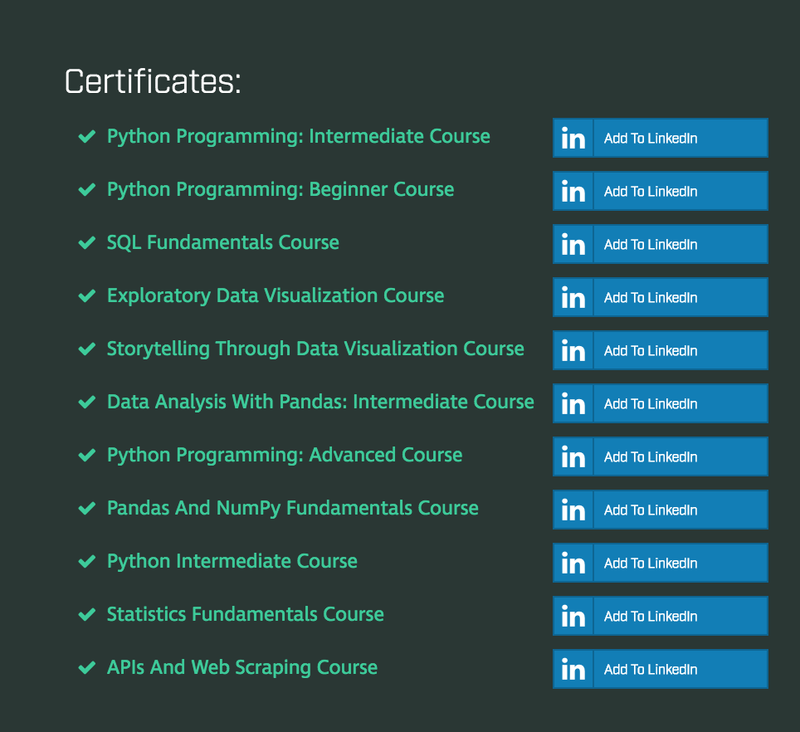 However, the Free Plan only gives you complete access to the Python Beginner Course — you'll be able to earn a certificate for that upon completion, but you won't be able to earn certs for additional courses and/or paths until you've subscribed (since you won't have access to those courses to begin with).